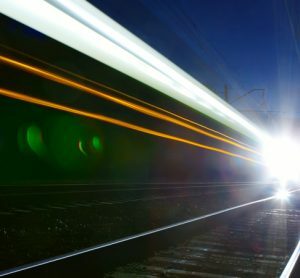 USQ, Austrak and Laing O’Rourke have partnered to develop new, innovative technology for the rail sector in a $10 million project. 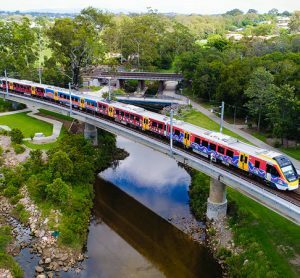 The consortium of University of Southern Queensland (USQ), Austrak and Laing O’Rourke has secured $3 million of grant funding from the Australian Government Cooperative Research Centre Projects (CRC-P) initiative, to increase innovation and develop new technologies for the rail industry in Australia. Australia has the sixth largest rail network in the world and it is estimated that nearly 90 per cent of the existing timber sleepers and transoms will need replacement in the next 10 years, including the Sydney Harbour Bridge’s rail deck. Fibre reinforced polymer composites will replace the timber bridge transoms, which are subject to warping and rotting, proving costly and disruptive due to constant repair. 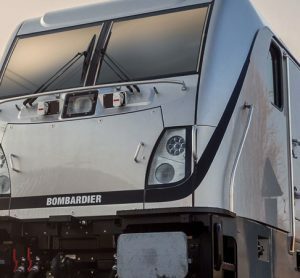 It has been proven that strategically using polymer composites results in sleeper technology that requires significantly less material whilst still complying with all the strength and stiffness requirements of a railway system. The project will build this existing research to commercialise materials and manufacturing technologies. USQ Professor Peter Schubel said the research partnership highlighted a successful collaboration that will bring a step-change technology to an otherwise conservative sector. “A major gap in the rail industry market was identified, leading to numerous research activities at USQ in transoms for a cost effective, robust and sustainable technology,” he said. 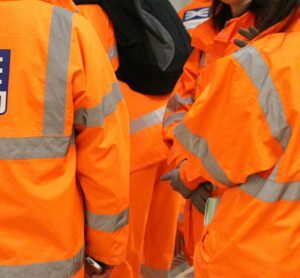 Working directly with Austrak and Laing O’Rourke ensures the technology is delivered at the right cost point and commercialised to its full potential to rehabilitate the nation’s rail network. “For the past 20 years, USQ has dedicated significant research into developing innovative sleeper and transom technologies based on polymer composite materials, so it’s extremely rewarding to see the culmination of this work formulate the design and manufacturing of this new technology,” concluded Peter. 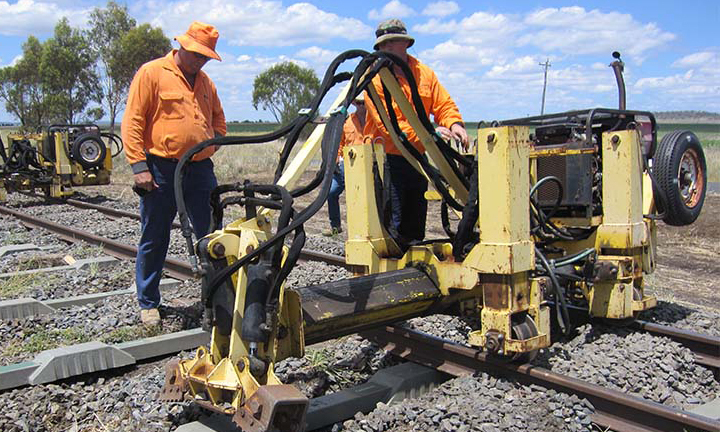 It is projected that in the next five years, Australian rail-track asset owners will move from a traditional timber-based system (with a limited lifespan of 15 years) to that of an engineered composites system (with a lifespan of 50 years). “Through the CRC-P programme and in partnership with USQ and Laing O’Rourke, we would like to improve our understanding of composite technology so that better designs can be developed to reduce the overall costs of composite transom decks and beams to the point where it is commercially viable,” said Murray.